Bianco Antigo bathroom vanity top. Amazing premium color with beautiful large gold shining & reflecting spots in side the stone. With oval shape Under mount sink. And back splash. 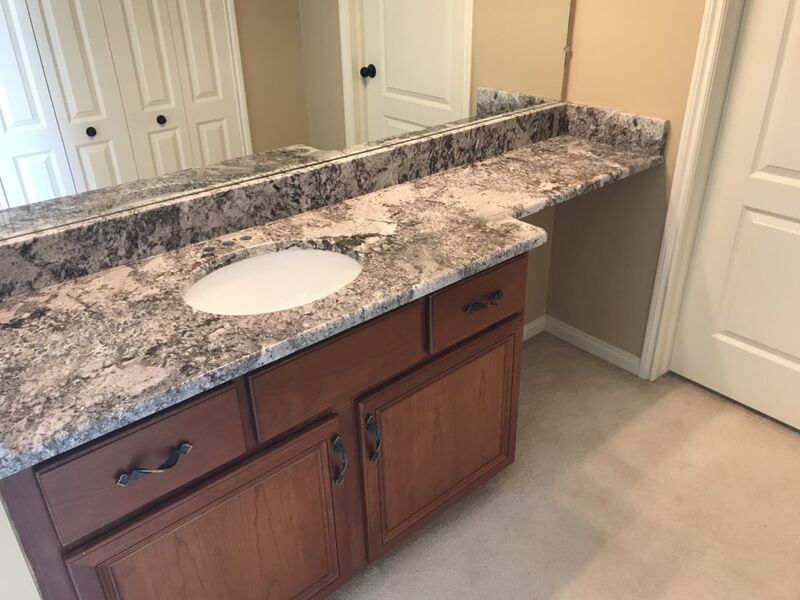 This project was done .by our professional team of experts for this remodel master bathroom for the new purchased home.